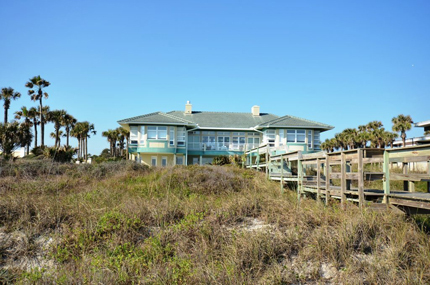 Ponte Vedra Beach oceanfront real estate is some of the finest in Florida. The beach is white and beautiful, and the coastline varies as you move along the coast. In some spots, the beaches feel flat and wide open. This is true for the area in around the Ponte Vedra Inn & Club and the Lodge & Club. As you move down the Boulevard towards Mickler, the homes are further back from the ocean with a higher grade, and the lots are wider. Heading into South Ponte Vedra Beach, the homes again come closer to the ocean with a bit of a drop to the beach. Wherever you are looking, you can be guaranteed to find some luxury real estate. The schools in Ponte Vedra Beach rival the top-ranked schools in the nation. If you are looking for high-end real estate at a more reasonable price with schools that rank as well as those in San Marino, California or La Canada, California, Ponte Vedra Beach is worth a look.